1. Compliance Checks (monitoring hunters and shooters on the range): Utilizing the most luminous color, Mack’s Hi-Viz earmuffs allow for faster, more efficient, and more accurate compliance checks, especially at greater distances and under different light and weather conditions. 2. Fast acquisition for critical use: Mack’s Hi-Viz earmuffs give hunters and shooters the best chance to quickly visually locate for immediate use when under unexpected or sudden shooting situations. 3. Finding if dropped or lost: Superior luminescence makes Mack’s Hi-Viz earmuffs easier to locate. Utilizing the brightest color to the human eye gives hunters and shooters the best chance of finding earmuffs if lost. According to ANSI, there are no alternative colors as luminous as fluorescent yellow-green. 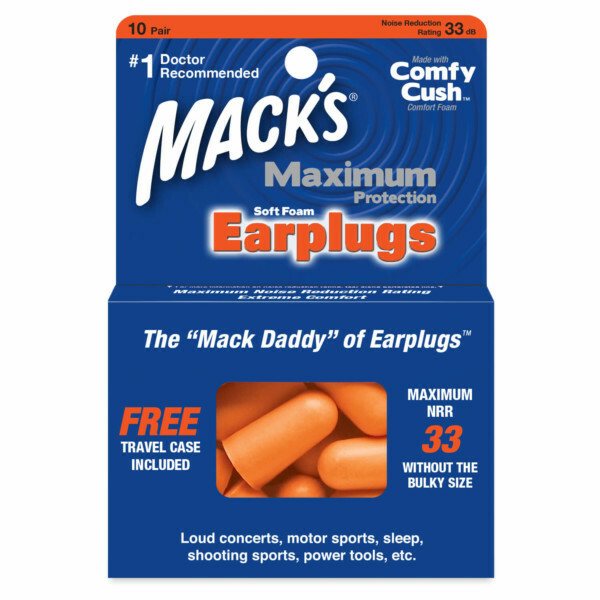 Mack’s Hi-Viz earmuffs are the most visible color available. For more information, click on this VIDEOwhich does a great job of explaining why lime green is the most visible color to the human eye.